Making your own almond milk lets you know exactly what’s in it! After allowing the almonds to soak for at least 4 hours, or overnight, the process takes only about 10 minutes. It’s creamy, vegan, dairy-free and versatile! Makes about 3 1/2 cups. Directions: In a bowl with a lid, add the almonds and cover with water. Allow almonds to soak for at least 4 hours or overnight. Dump and discard the soaking water; rinse almonds. In a blender or food processor, add the almonds and 4 cups of fresh water (work in batches if necessary). Process the mixture for at least 1 minute or until creamy and smooth. Working over a bowl or pitcher, line a fine-mesh sieve with two layers of cheese cloth. Pour the almond milk mixture through the sieve and cloth. Lift the cloth occasionally and twist and squeeze to get the most out of the mixture. Discard the pulp or reserve for another use. 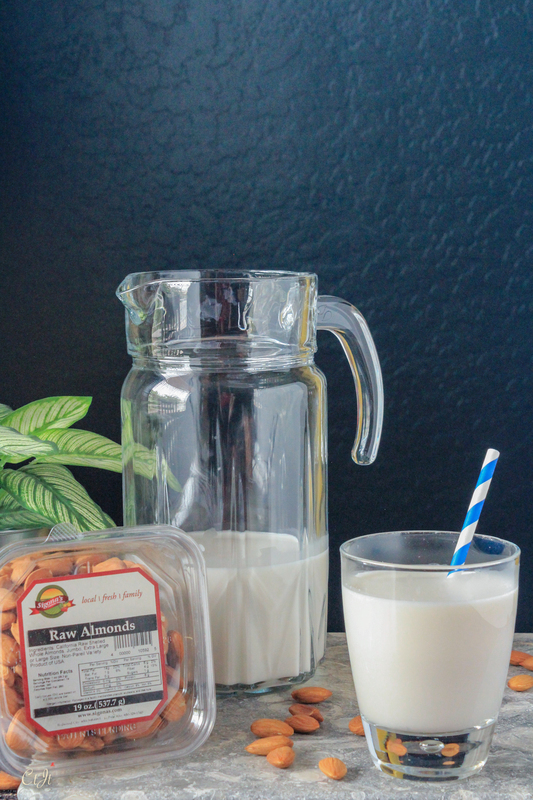 Store the almond milk in the fridge in an air-tight container. Use within 5 days.